I’ll admit to previously having less interest in Germany than in other European countries. I’m sorry! I feel like I need to duck and hide when I say that, but I hadn’t given German(y) much thought. As recently as June I declared that I didn’t like the German language. Perhaps, I was a little too influenced by the Eastern German pilot training buddy of Brent’s who stood oh-so-close and kept spitting on me. What I’ve found instead oozes charm, kindness, beauty, and surprisingly humor. I showed up last Saturday not even knowing how to count to ten. Between our guide books, google translate and some kind English speakers we are getting along and learning. So far our biggest disaster is toilet paper that ended up scented and decorated with flowers and some body wash that might be shampoo or shampoo that might be body wash. The groceries to me seemed low threat because almost everything has pictures and is at least edible. So what if your coffee milk is a little too sweet? The laundry however was a more serious matter. Several times on Monday I stopped by the communal washing machine and it was full. So, I determined to wake early and haul our family’s three loads down three flights of stairs, through the underground basement hall, the shower room, the indoor pool, to the laundry room located just below the office before anyone else arrived. Despite jet lag, I made it to the machine at 6 am. No one else was there! Hmmm. No one else was there – to ask for help. Besides feeling a bit creepy sitting on a bench in the basement downstairs from the office, I couldn’t read the settings on the machine! This was serious! One wrong selection and suddenly our clothes intended to last all year could end up pink or sized for Barbie dolls. What to do? I hadn’t brought my phone with Google translate because, even though I had prepared it the night before thinking that I’d want it for Facebook, I couldn’t see my phone in our darkened room without waking the kids. Should I “Plegeleicht” the clothes? How about “Extraspulen/Starken”? Thankfully one English word shined amongst the choices: “Dunkles/Jeans”. Whew! “I’ll wash the jeans and darks first, and then go find my phone,” I thought. So, I put a 2 Euro coin in the place where coins go — that much was obvious. I knew how to put the soap in (I have vast laundry experience.) But then, I was stumped. A red button and a white button both lived next to the coin slot. Buttons are meant to be pushed? On the machine itself was a “Start” button, a “Startvorwahl” button. In my pre-caffeinated mind “Startvorwahl” meant start now! A grey button and an orange button with “Tur” next to it were also on the control panel. In the end, I’m not sure what I did other than push each one at least once until it started. After, I started the darks I sat on the bench in the quiet dark basement for a while. I had heard that Germans had a lot of rules and I wasn’t sure what the rule was regarding leaving your laundry. I didn’t want to be rude to our hosts. Finally, I felt weird enough sitting next to the office in the near dark that I went back through the pool room, shower room, hallway, up the stairs, to the apartment. Wow. Should I “mangle fecht” our clothes or “shrank rock” them? Remember they were our jeans, so I couldn’t choose the no heat at all option, which I guess the Luften was. I went with “Bugelfeucht” because it was under the general category of “Baumwolle” which sounded like wool to me. I still don’t know the full translation, but from experience it leaves the clothes rather damp after running it twice. That works, no damage done. For the other load, I realized that it didn’t really matter. They were mainly white, so if they got hot water they would be clean and if they didn’t, they would be a little less clean — a consequence I could live with. For that load, I chose “Pflegeleicht” mainly because it was opposite Jeans/Dunkles. Finally, my brain awoke enough to remember my phone had a camera. I began snapping pictures of the dials and signs. I went back through the pool room, shower room, hallway, up the stairs, to the apartment, carrying my remaining load (is it OK to leave my unwashed loads? I didn’t know the rule.) At the apartment, the family was beginning to stir! I typed the words into Google translate on my computer as soon as I’d finished making the pot of coffee. Oops! One sign said I was supposed to take my street shoes off on all those trips through the indoor pool. The bench I sat on was for — shoe removal, not waiting for your laundry loads. When I returned, down the stairs, through the hallway, through the shower, after taking my shoes off, through the pool room, and putting my shoes back on, I was better armed for the third load, and the office was open. Within a couple of hours we had clean clothes and nothing was ruined. Guess what else? I love Germany! We are in Oberaudorf, Bavaria only 3 kilometers from the Austrian border in the midst of the Alps. The landscape includes beautifully green, forested mountains with both deciduous and evergreen trees. Hiking trails lead to waterfalls, mountain peaks, farms of sheep that wear bells, cattle, poultry, orchards and bee hives. The architecture is charming and the people are kind and welcoming. God led us to the perfect place to begin our adventure. The small town we are in is a German vacation spot, so tourists are normal, but Americans less so. Our hostess speaks enough English to help warn us about Austrian tollways, but we are also inundated with opportunities to practice German. The rural location adds to our feeling of safety. Open windows and prolific walkers of all ages abound. The baker and grocer are about 3/4 of a mile away. I can now count to ten in German. The kids are motivated to speak German. “I just want to talk to them! Most interesting to me is the familiarity I feel with this town. It almost feels like a mix of Texas and Oregon. The landscape and climate are wet, cool and lush, much like my experience of the Pacific Northwest. We’ve already had a few glorious days of rain. The part that reminds me of Texas is their pride of place. On our hike, a farmer drove by in his European little van wearing his Bavarian felt hat with feather. Liederhosen can be seen on men and boys around town and dirndl, the traditional dresses, are on display in several shop windows. In my version of Google culture translate, I can see some farmers sitting in a gas station in west Texas with boots on donning their wranglers and western shirts. Yes, I’m charmed. So, Germany, I publicly apologize for my lack of attention. You obviously haven’t been concerned. I’m glad you are our first European stop. Thanks for the kind welcome. Anita and I just had a belly warming laugh over your post. Loved it! You have more than made up for your Blog’s slow start. You stories are hilarious and educational. Thanks so much for taking the time to share and reminding us to Wake Up and Smell the Joy! I can picture right where you are. I am so glad you are able to experience the country and region that I love. 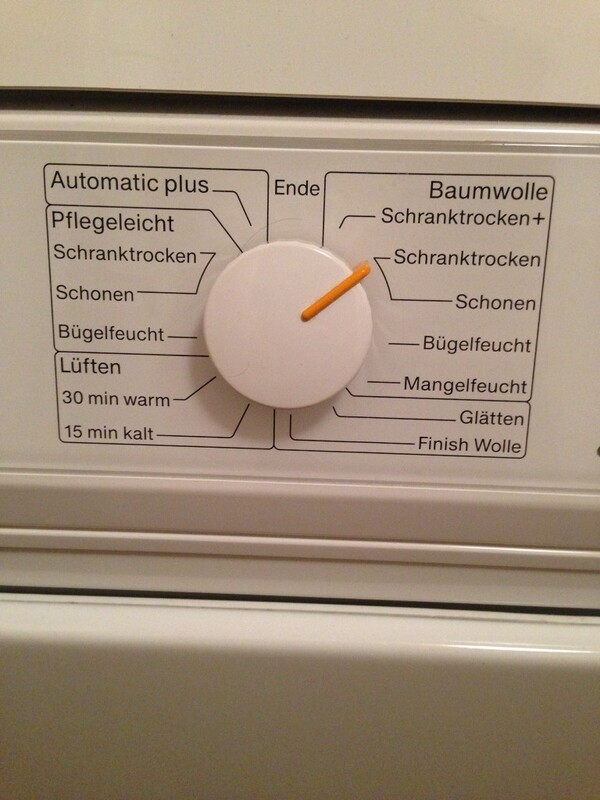 I wish I could have been there to help you with the wash. You have probably figured it out but “feucht” is damp, “trocken” is dry and “luft” is air. You’ll figure it out quickly I am sure. It should be beautiful there this time of year. I always love all the flower boxes. There is plenty of music in that area and probably a good amount of free concerts. Enjoy it to the full! Can’t wait to hear more. The younger two send their greetings. P.S. If you plan on going to Austria and the ski area (St. Johann in particular), they have amazing playgrounds on the top of the mountains, zip lines, trampolines, etc…tons of fun for the old and the young. We took the gondola up and then hiked up top, but spent much time at the playgrounds. Just wanted you to know that I read your blog…:-) So glad you are enjoying it!!! Luke sent Christian a text: “We are in Bolivia” hahahahaha!!! I was pretty sure that wasn’t true but Bavaria/Bolivia?! What’s the difference? hahhahah … i can see your face. We have stayed in Oberau ourselves. It’s an awesome area! Enjoy and have some bier…you’re in Germany so you must! Glad I’m not the only one bamboozled by laundry in a new country! Great posts. Thank you! Speaking of Austrian road rules (probably talking about “vignettes” or temporary road licenses?) You will also need (physical) vignettes to stick on your windshield in Slovakia, and Czech Republic. Hungary has a none physical vignette which you can buy at Ports of Entry” or most gas stations, you just need the license plate number and it goes into a computer system. Don’t know what the law is in Poland, only drove there once and do not recall needing a vignette. Safe travels! Greg, Jana and Alex the dog.